I caught up with Damon Suede at the RWA Literacy Signing in Orlando, and he was more than happy to record this quick video to tell us what puts him OVER THE MOON! Comment below & tell us your favorite word/phrase, for a chance to win a copy of one of Damon’s titles (winner’s choice). Addictions: sweetness that isn’t sentimental, wit that isn’t bitter, strength that isn’t cruel. Allergies: professional victims, half-assery, clichés. 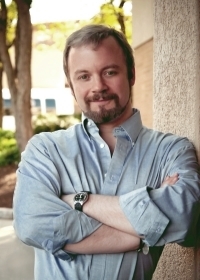 Damon is a proud member of the Romance Writers of America and currently serves on its national Board of Directors. He also served as the 2013 president for the Rainbow Romance Writers, RWA’s LGBT romance chapter. And if you’d like spam-free updates about his work or notification for upcoming releasess sign up for his Newsletter.